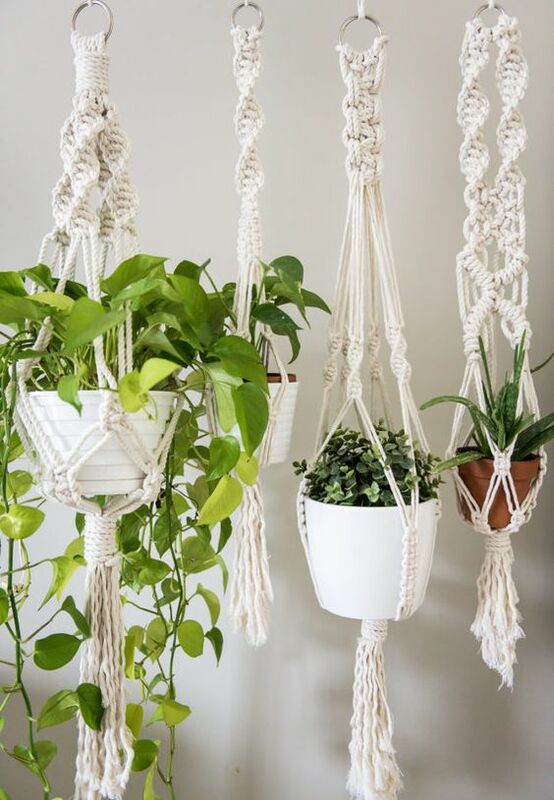 Make your plants a part of your home. 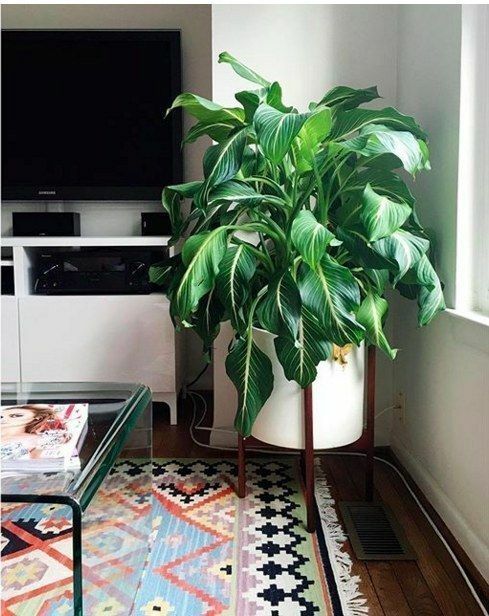 A few weeks ago we told you the benefits of introducing houseplants to your home – if you haven’t already, have a read of it here. So, you’ve gone out and bought your plants but have no clue where to put them or what to put them in. Our guide has a vast array of options to help you integrate your plants into even the smallest of spaces. 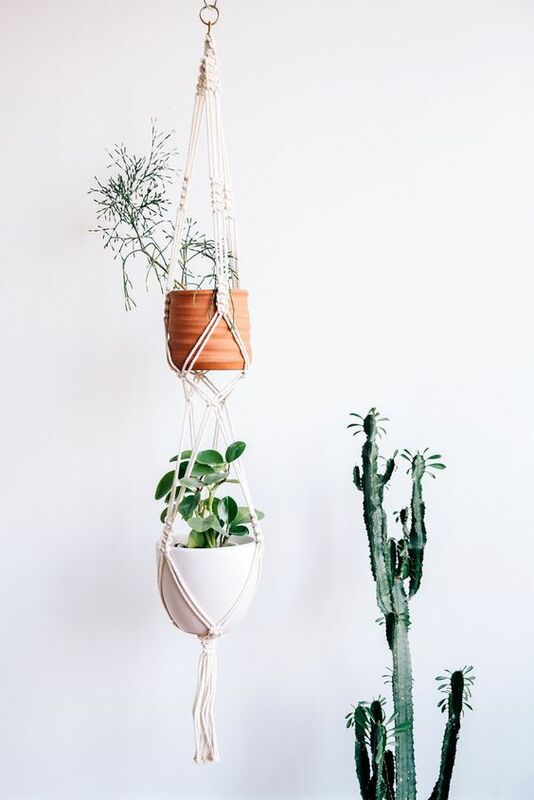 Look for obscure pot styles and integrated holders that elevate your plants off of the floor – holders are a great tip for smaller rooms as they give an illusion of openness and space. Find pots in materials that complement the current design of your home so that the plants seamlessly merge with the décor rather than become an obvious addition to it. If you have the space and are really passionate about your collection, then give your plants their own table or holder. This elevates them to your level, making them a visual spectacle within your space. Think of this table or stand as a piece of furniture or accessory in its own right. Small space? No problem. These beautiful little holders let your plants into your home without taking up any precious floor space. They come in a range of designs and sizes – many of them are handmade – and give the room they’re in a unique aesthetic. 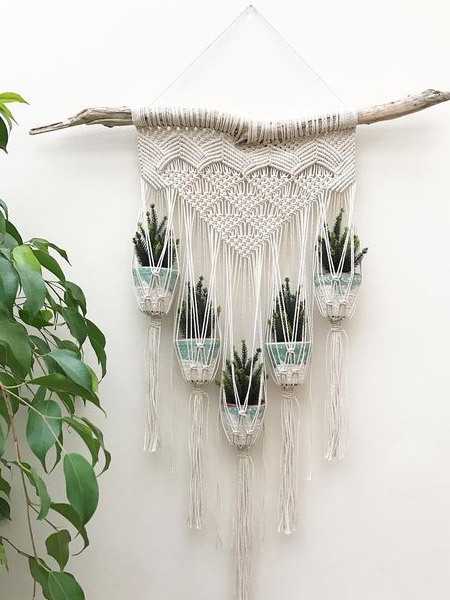 If macrame holders aren’t your style or just aren’t big enough for the plants you’re buying, consider introducing your foliage on to shelves – or buying a wall display just for them. 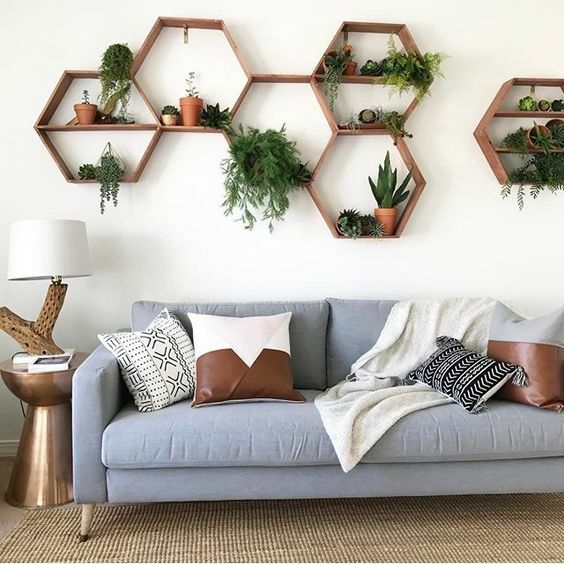 Displaying natural greenery at eye level will give your walls added interest and help create a sense of height and space. This low-maintenance plant pot comes in a plethora of variations and styles. Many are hand-woven and integrate perfectly with neutral colour schemes, complementing the natural greenery of the plants. We love the Sisal baskets from The Future Kept because of their range of designs and sizes.